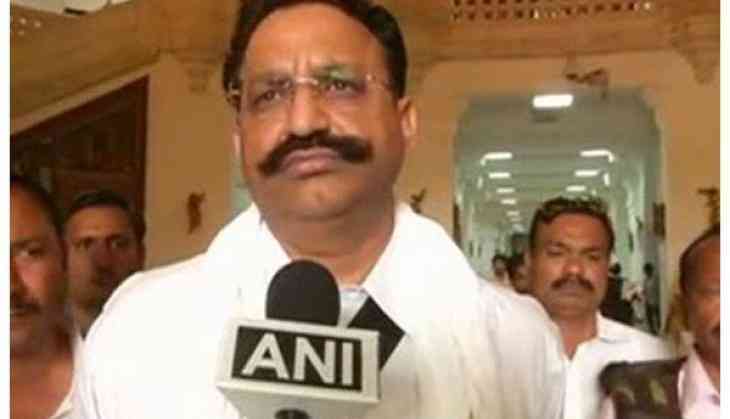 The Election Commission (EC) on Thursday granted permission to jailed Bahujan Samaj Party (BSP) leader Mukhtar Ansari to take part in the voting of the upcoming Rajya Sabha (RS) elections. BSP national general secretary, Rajya Sabha member and an eminent Supreme Court lawyer, Satish Chand Mishra had filed a petition in the Allahabad High Court for the release of two Members of the Legislative Assembly (MLAs), Mukhtar Ansari of the BSP and Hariom Yadav of the Samajwadi Party (SP), so that they could participate in the voting on March 23. Ansari is the prime accused in the murder of Bharatiya Janata Party (BJP) MLA Krishnanand Rai, among other crimes, and has pleaded not guilty. In September 2017, Ansari was acquitted in connection with contractor Manna Singh's murder case. There will be 59 vacancies in the Rajya Sabha in April. Three nominated members - actor Rekha, cricketer Sachin Tendulkar and social worker Anu Aga - will also be retiring then.